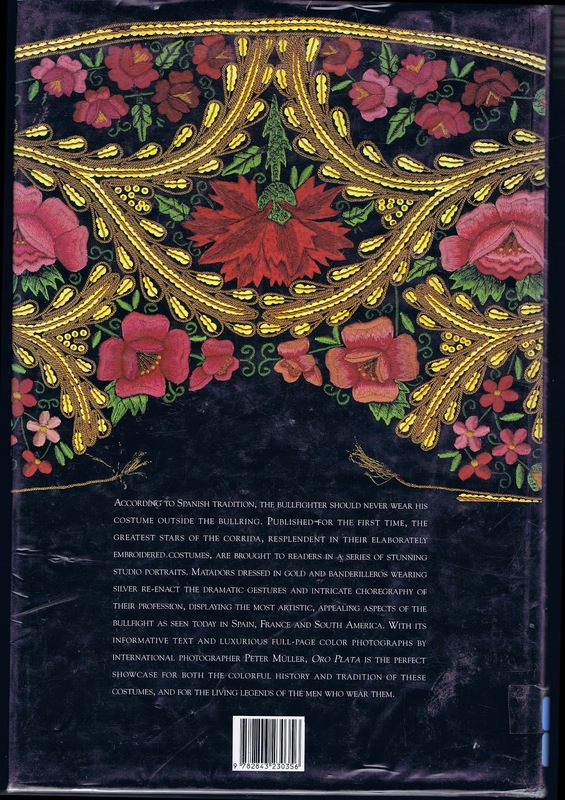 Below shows scans of a book I took out of the library. 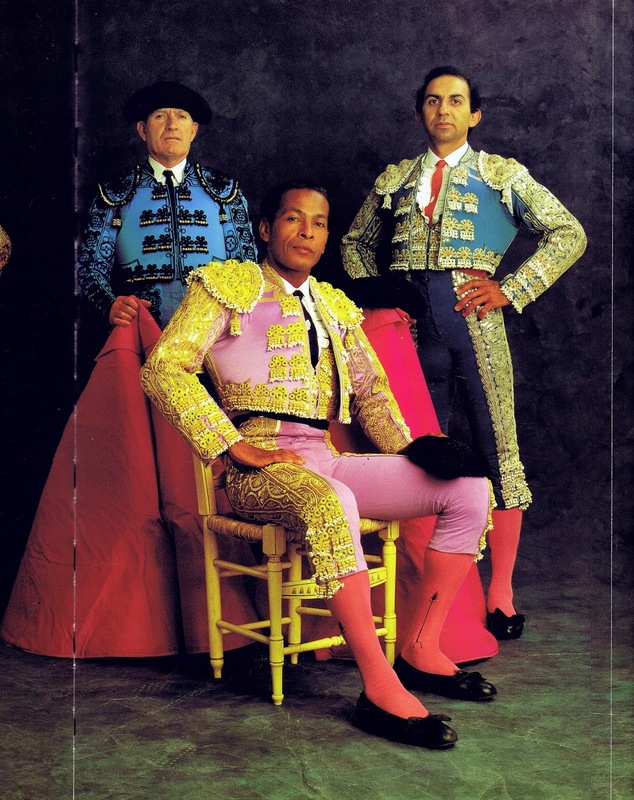 I was looking on the off chance the library would hold anything on Matadors, and thought it would be outstanding if they did. 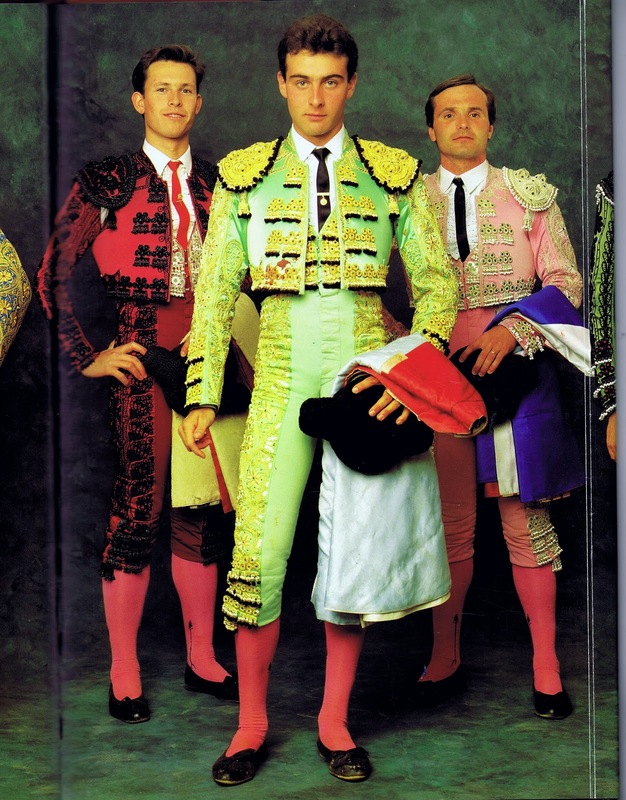 And to my amazement had the perfect book for me, a photo book chronicling different 'trajes de luces'. 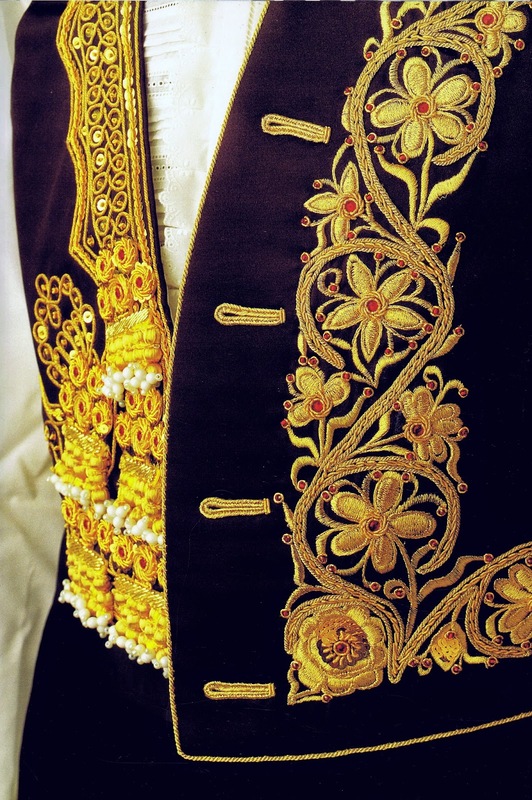 I was worried about organising a set of consistent images for the look book element, and feel these fit perfectly with the tone of the brand and it's overall traditional European aesthetic. 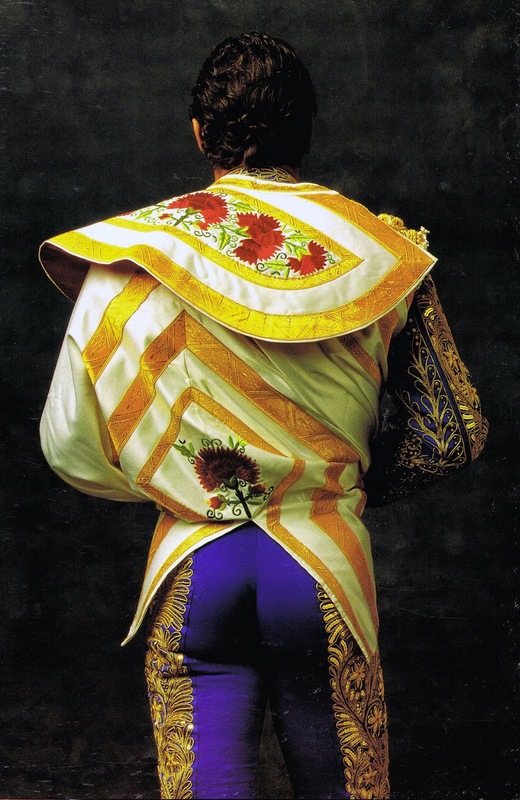 Beautifully taken and focusing on the detail of the clothing - most of the photos I have collected or taken have much more of an emphasis of the fight itself. 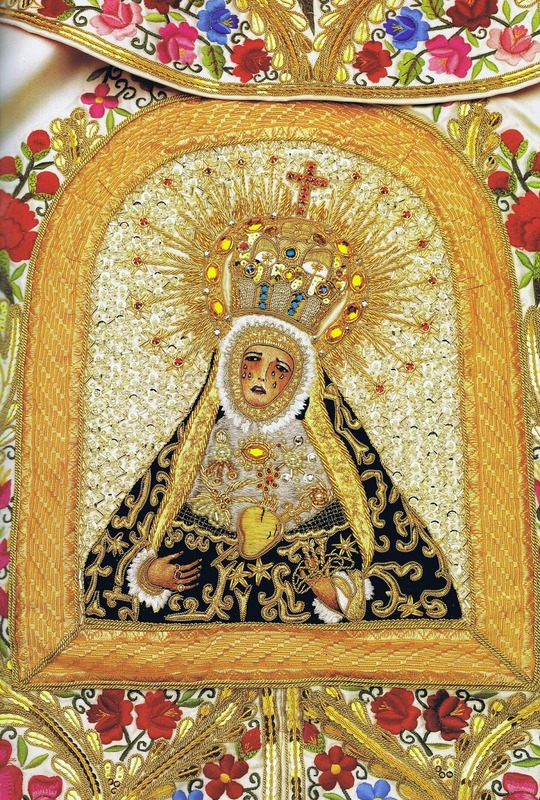 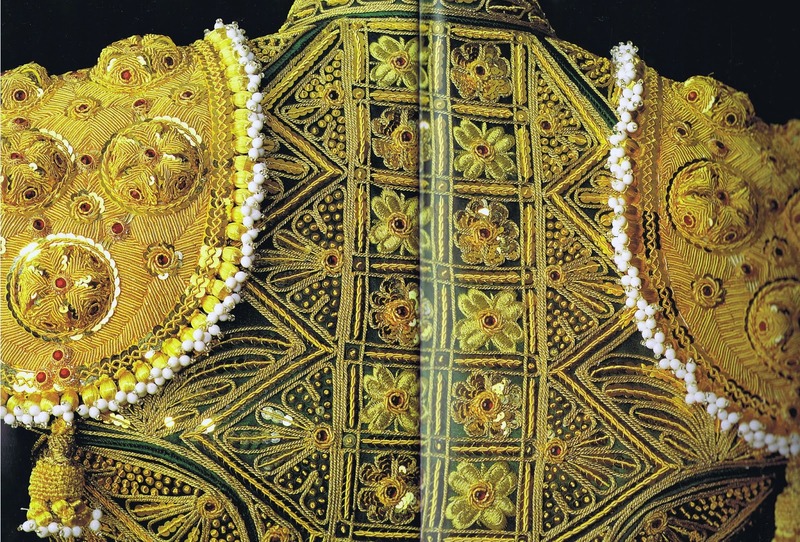 If imagery from this book is used, it will be credited where necessary for purposes of this brief. 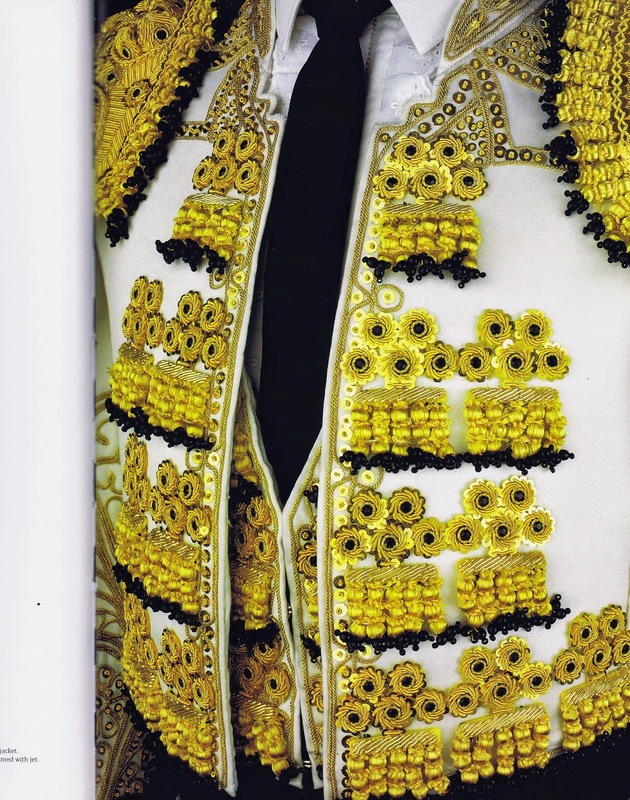 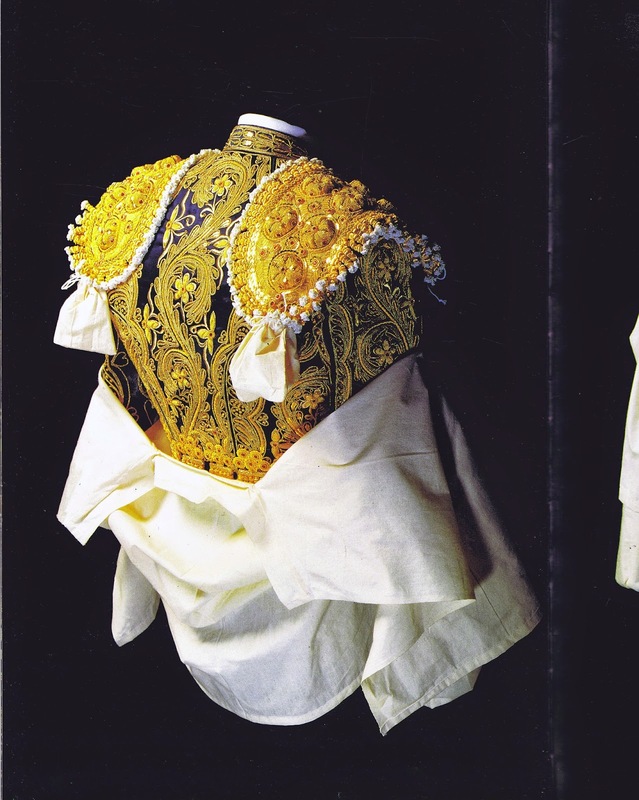 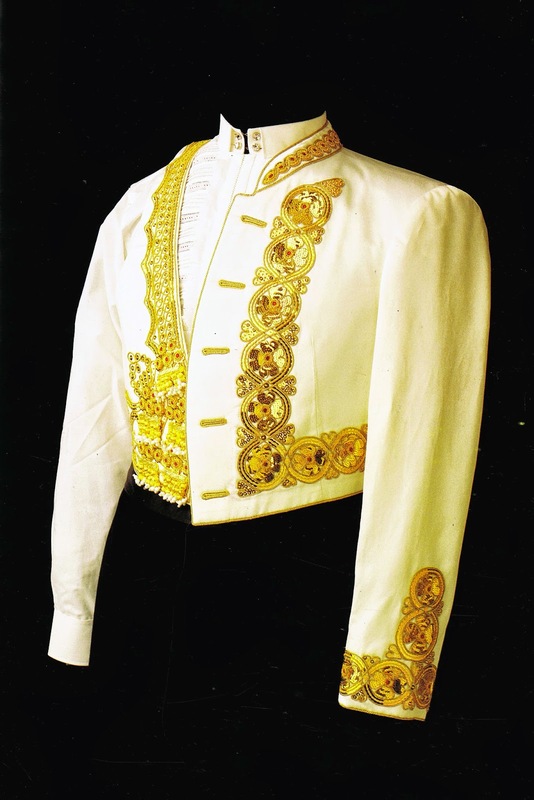 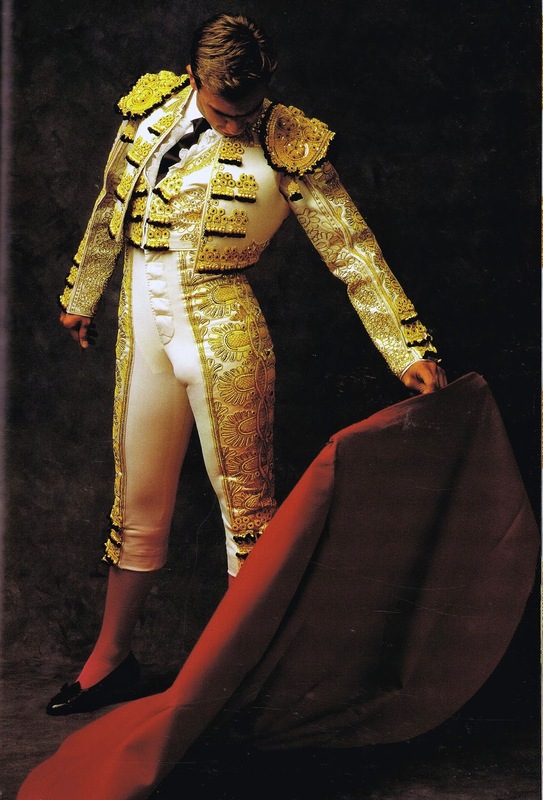 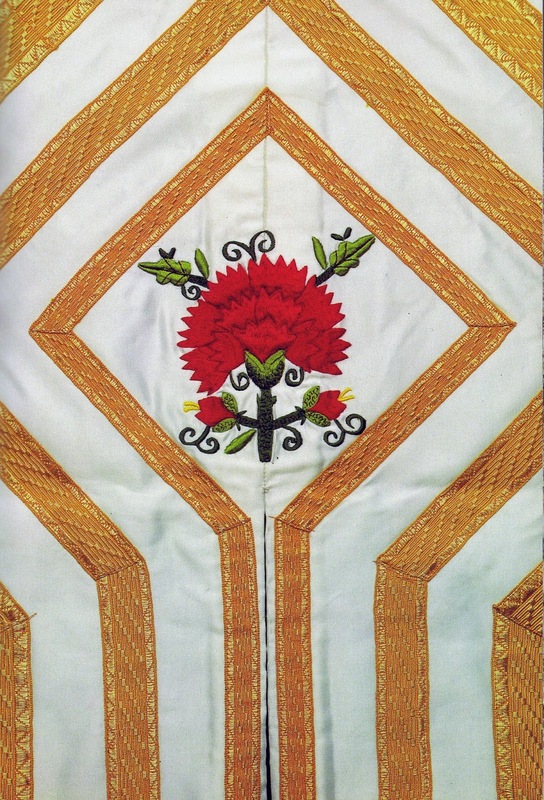 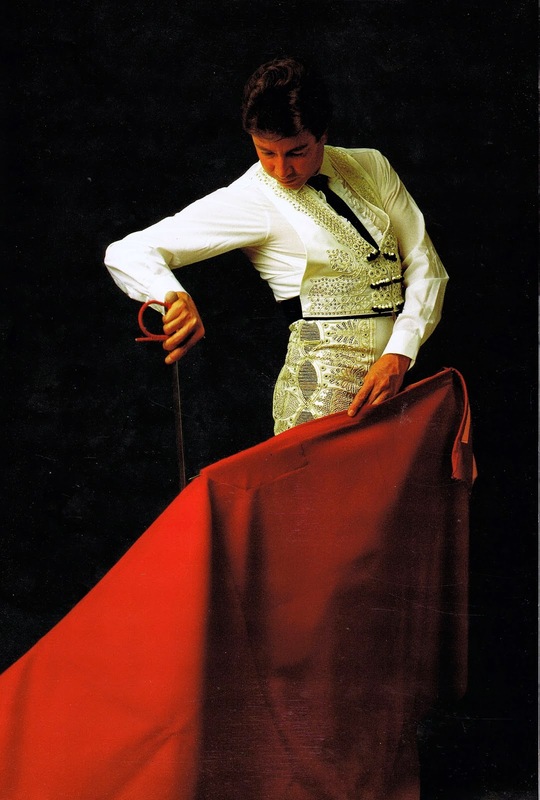 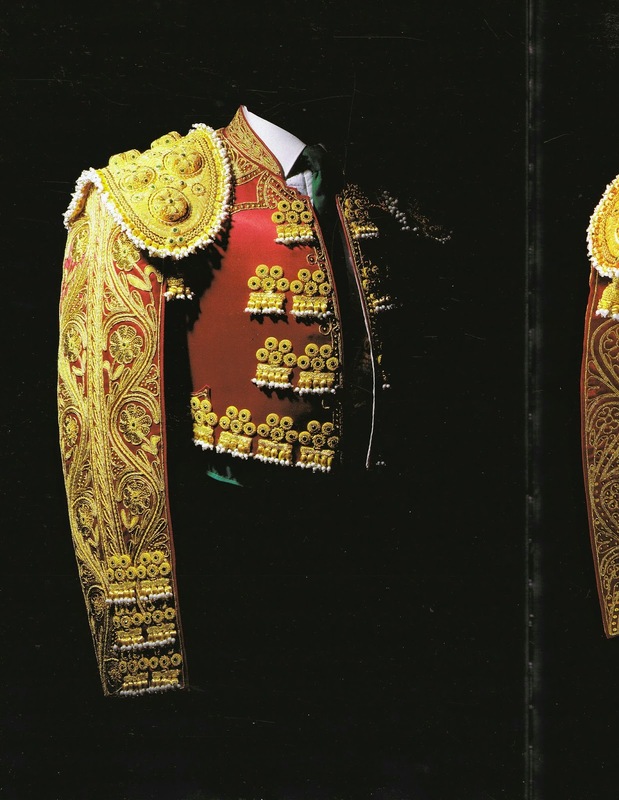 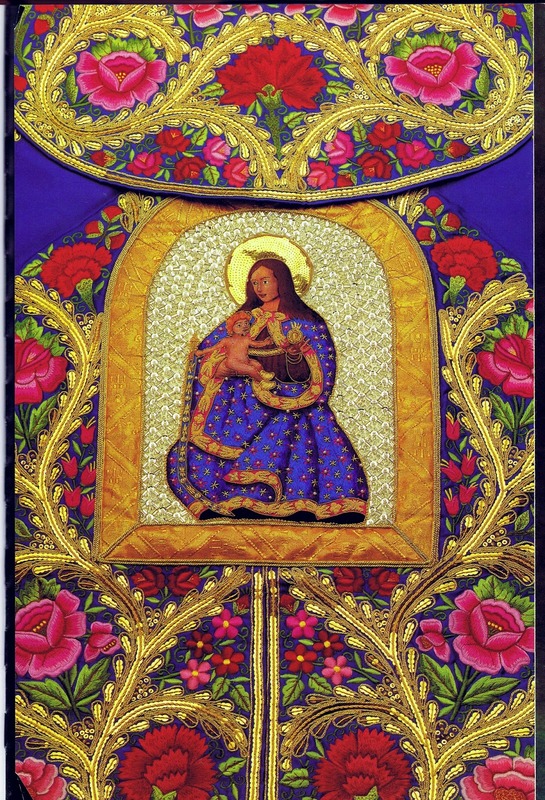 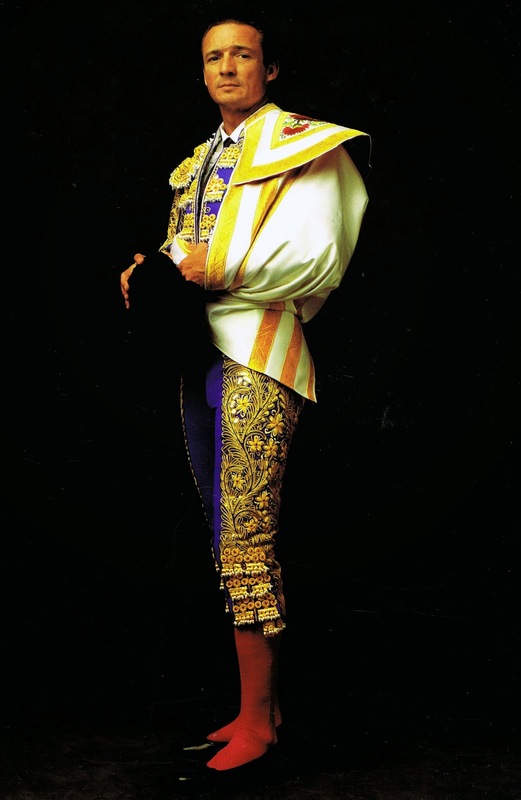 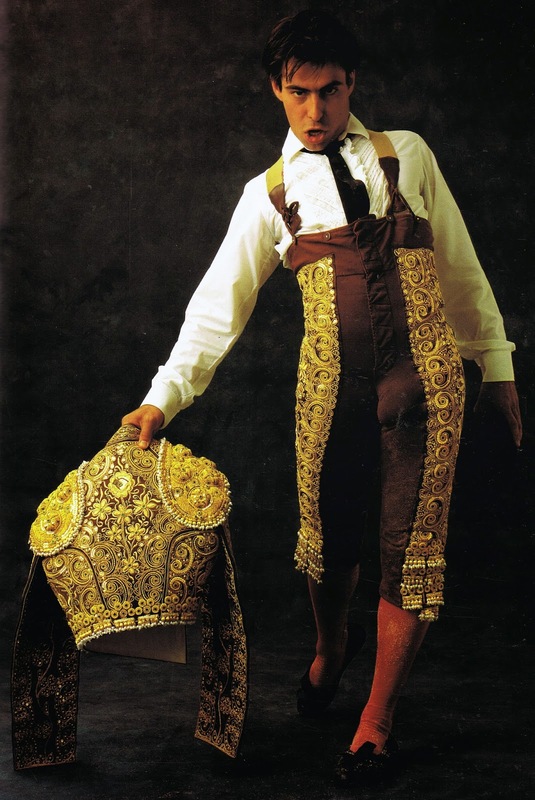 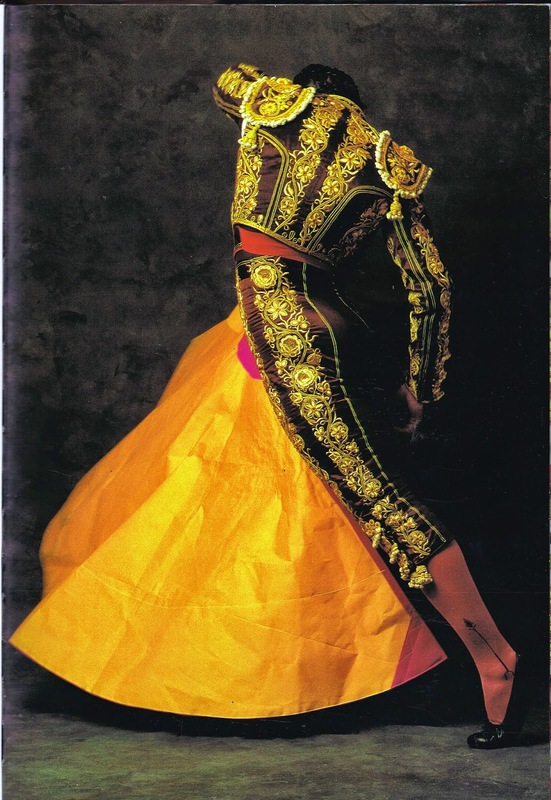 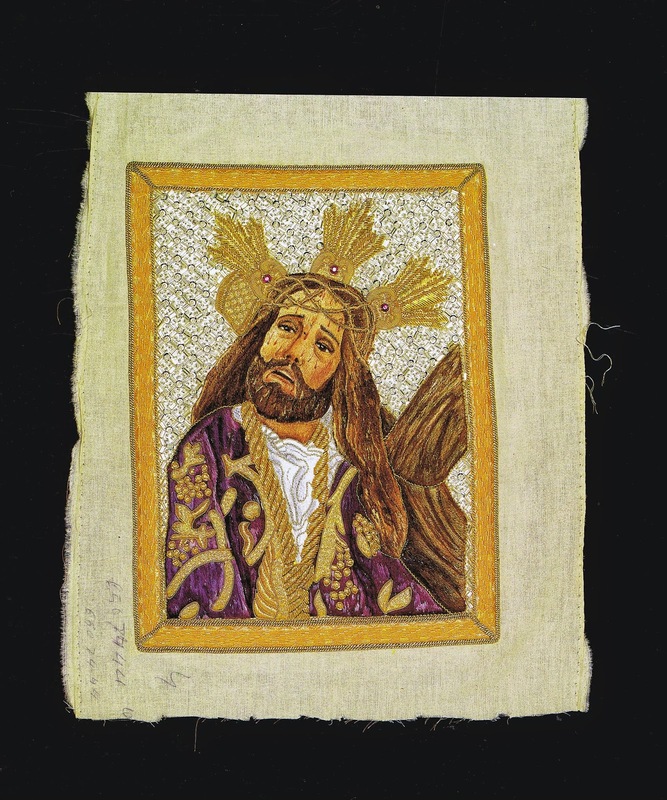 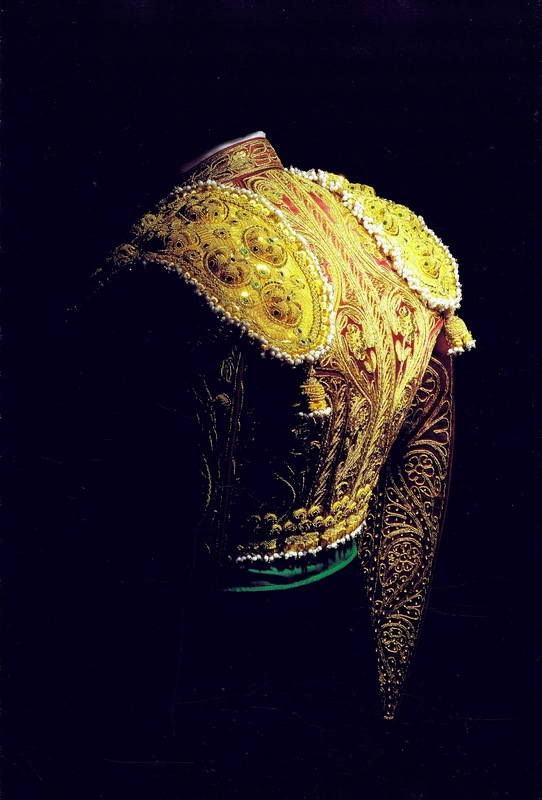 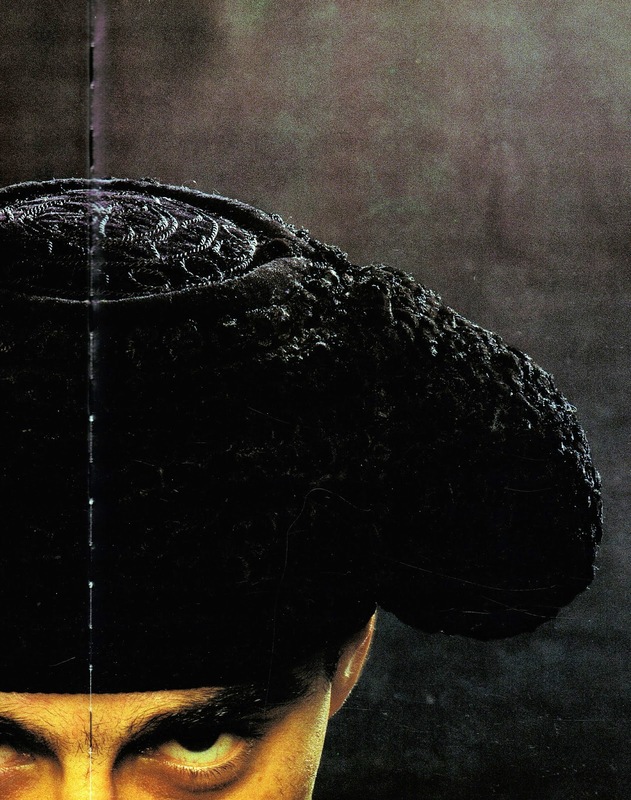 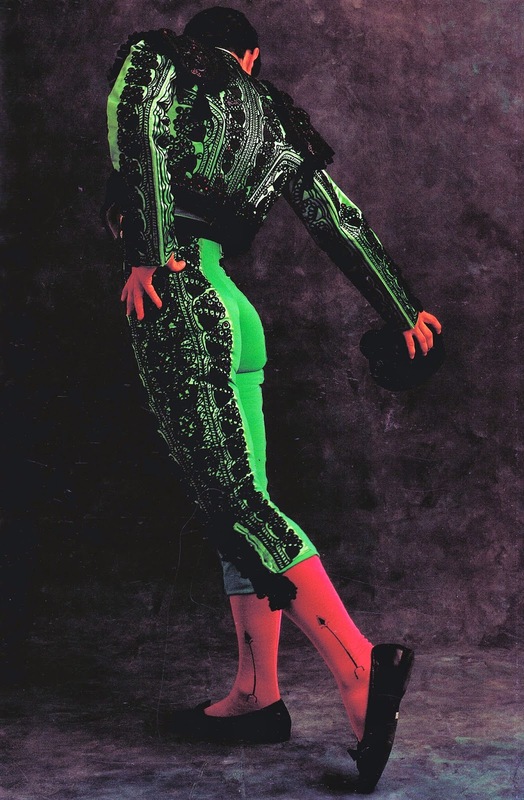 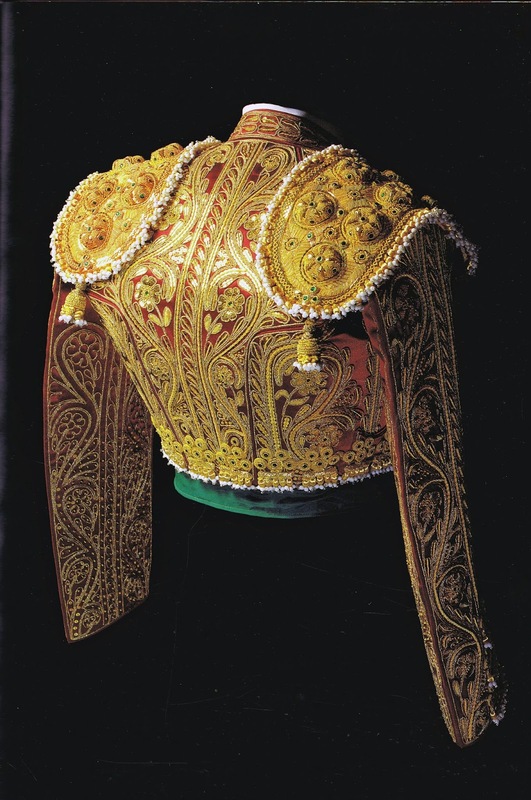 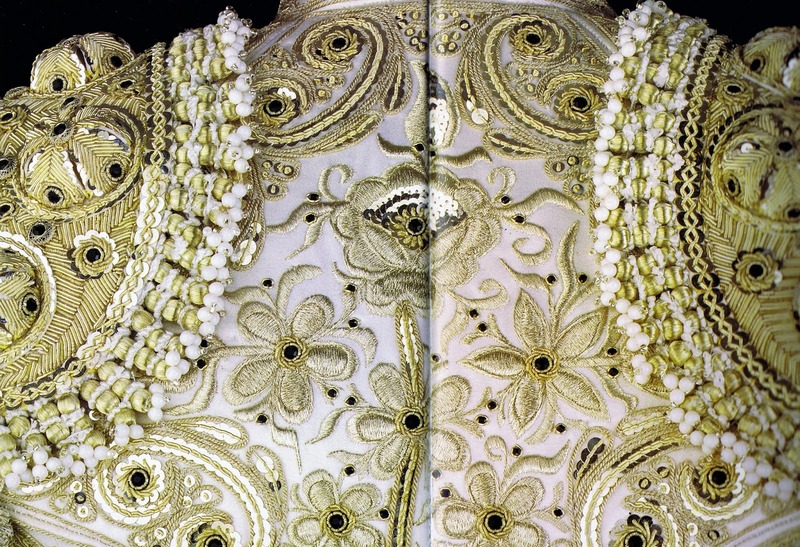 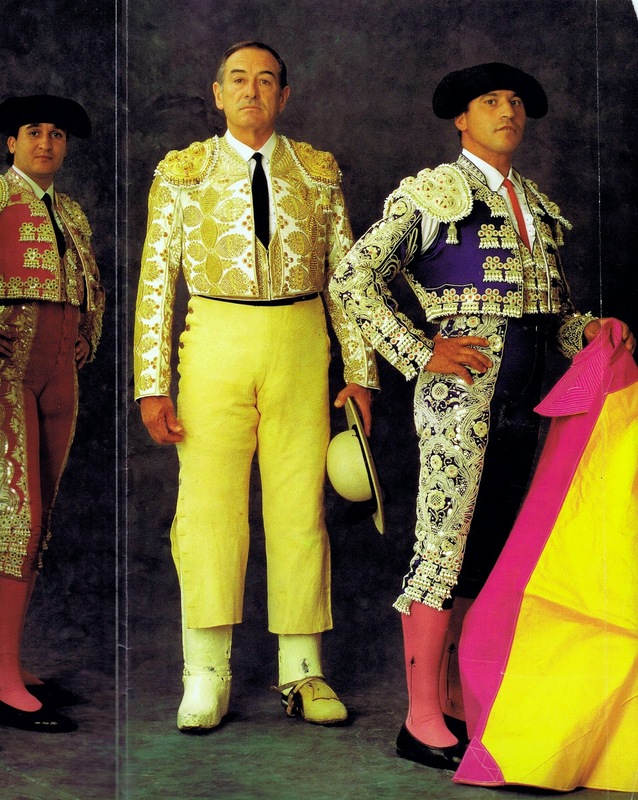 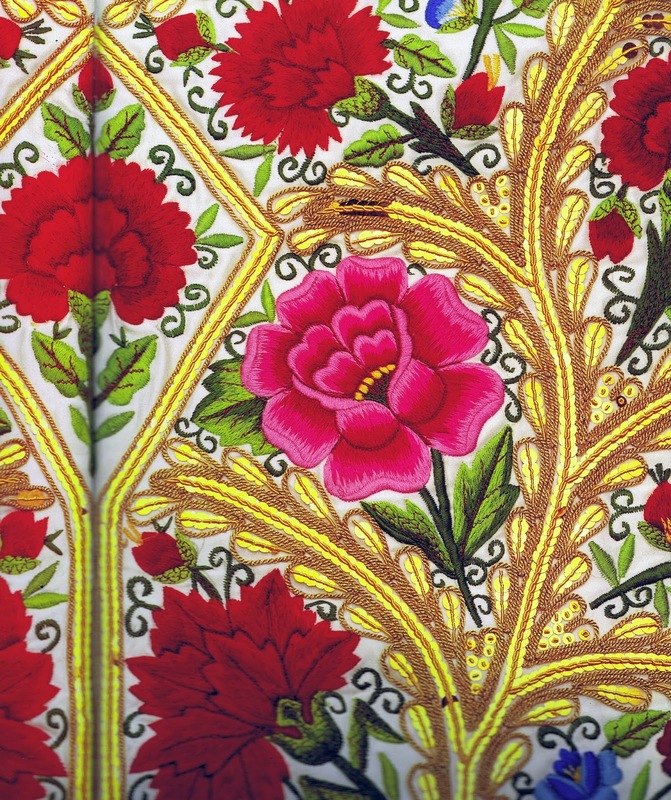 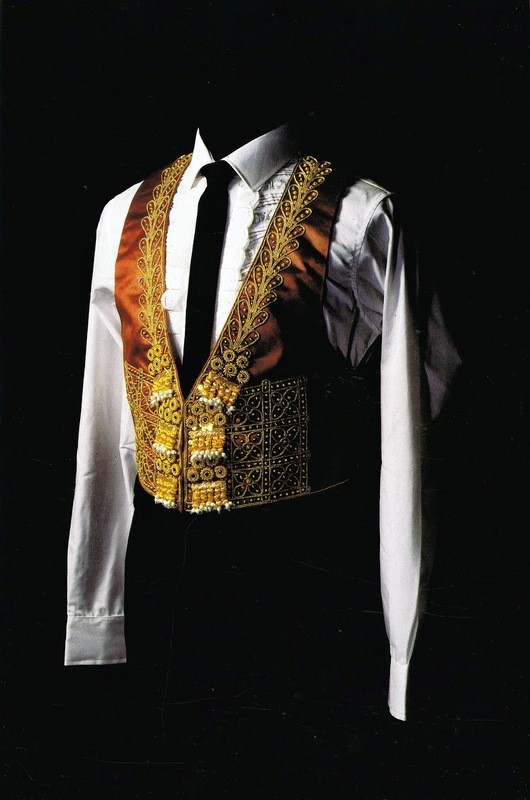 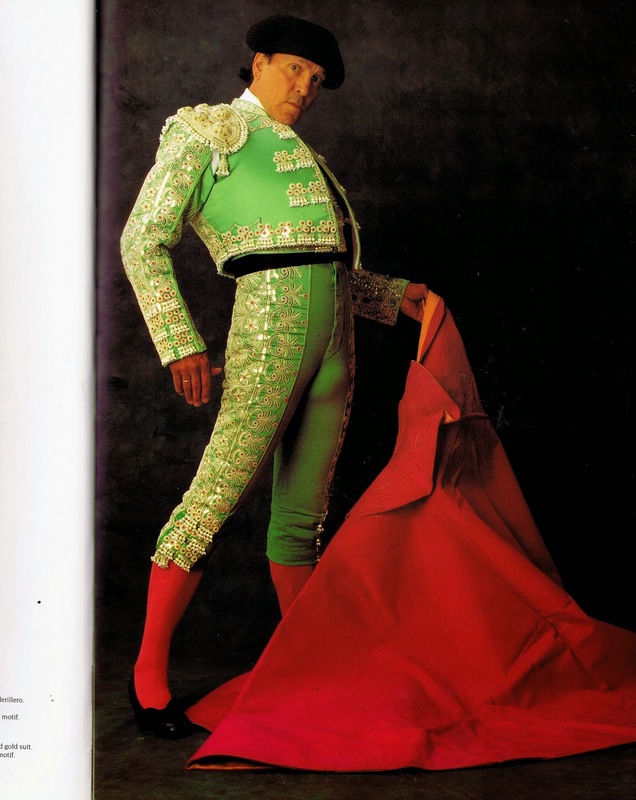 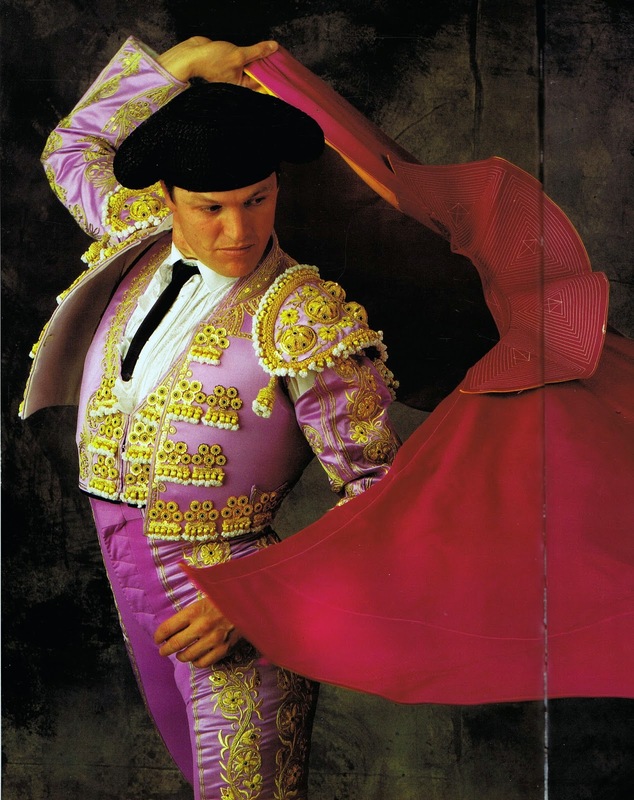 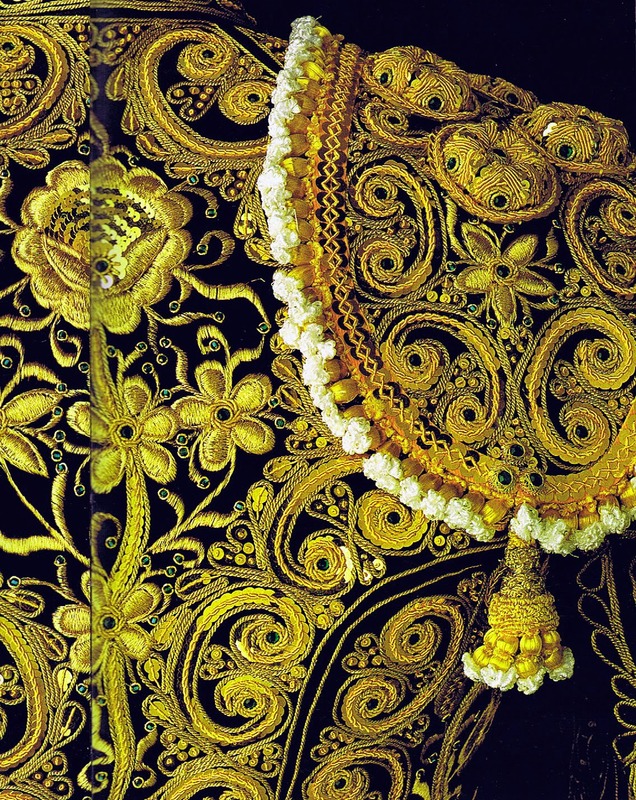 Oro Plata: Embroidered Costumes of the Bullfight Hardcover – 27 Oct 1997. 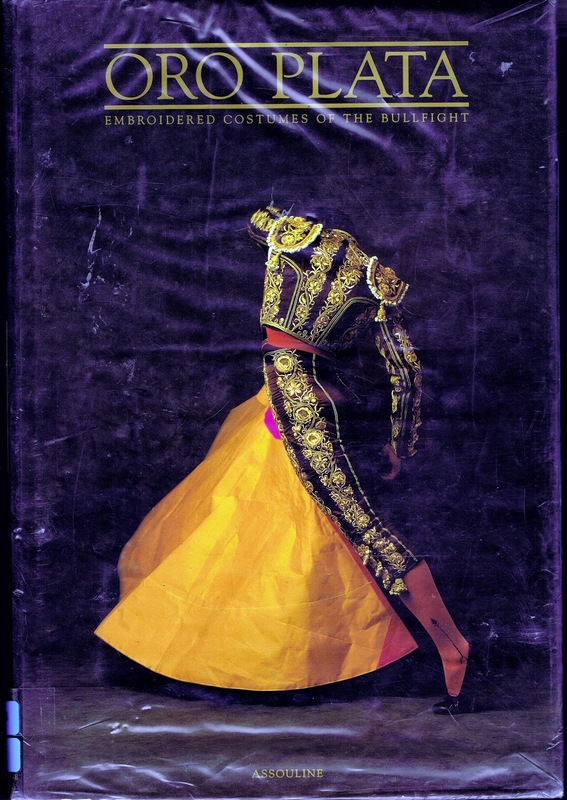 By Danielle Carbonel (Author), Peter Muller (Photographer). 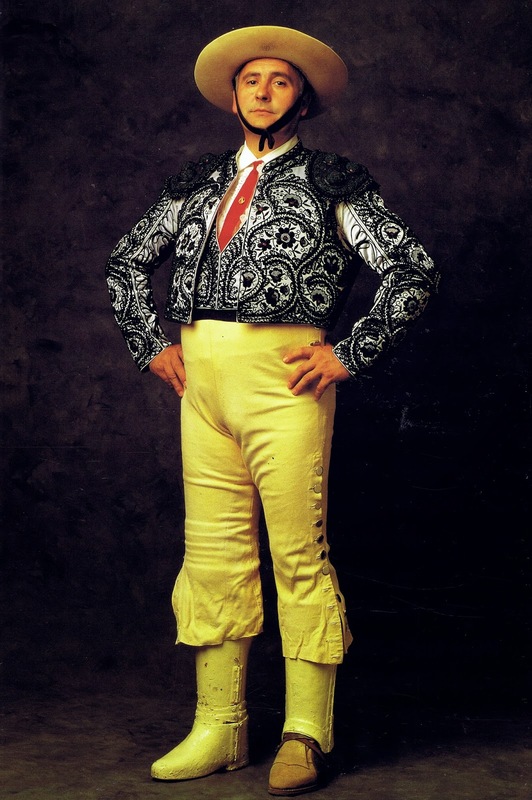 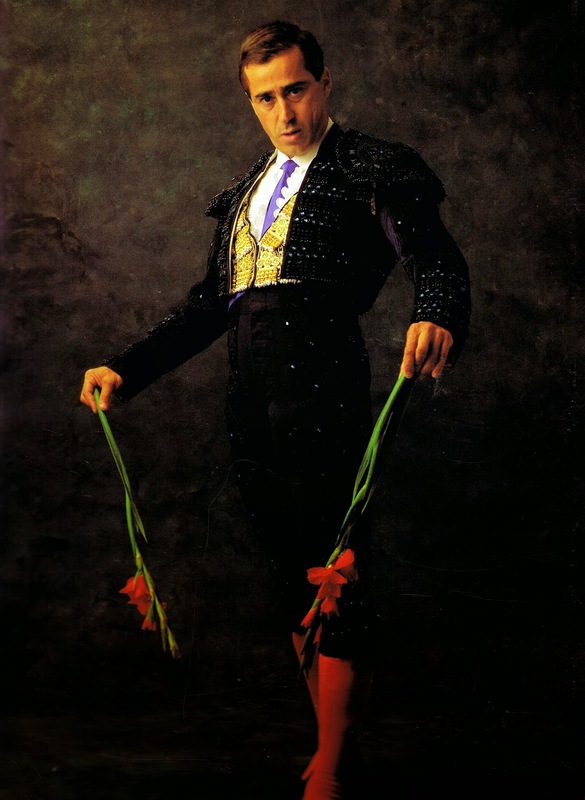 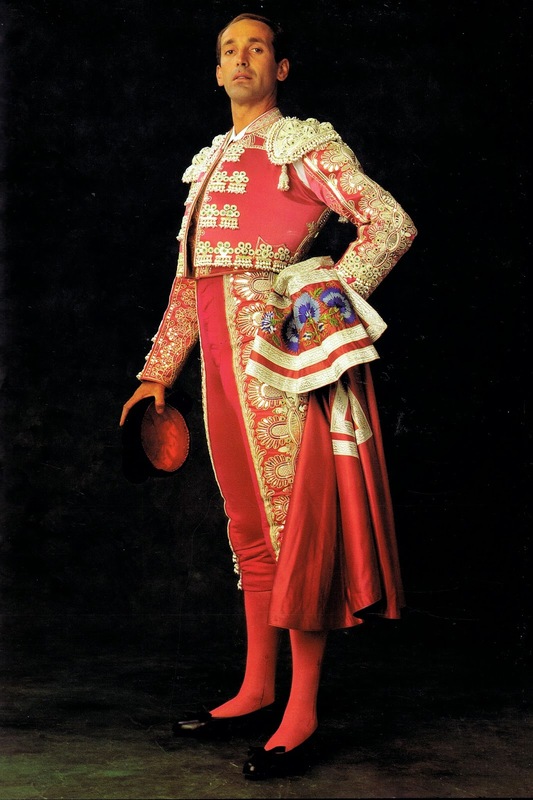 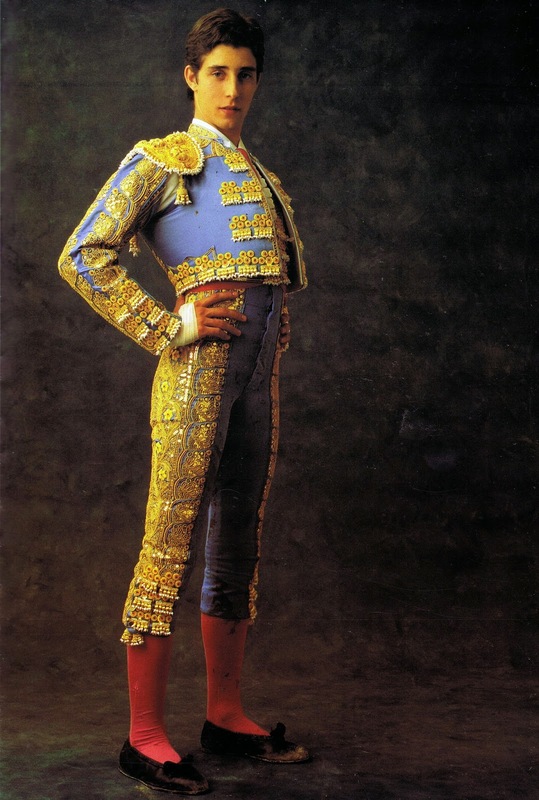 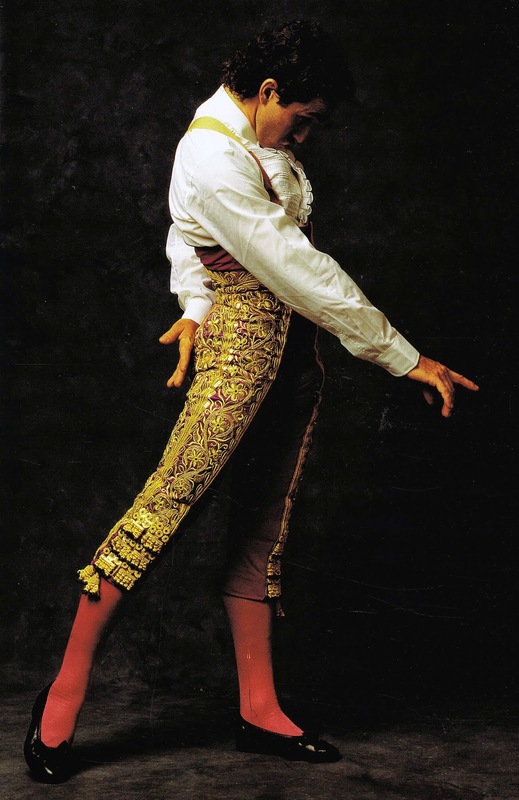 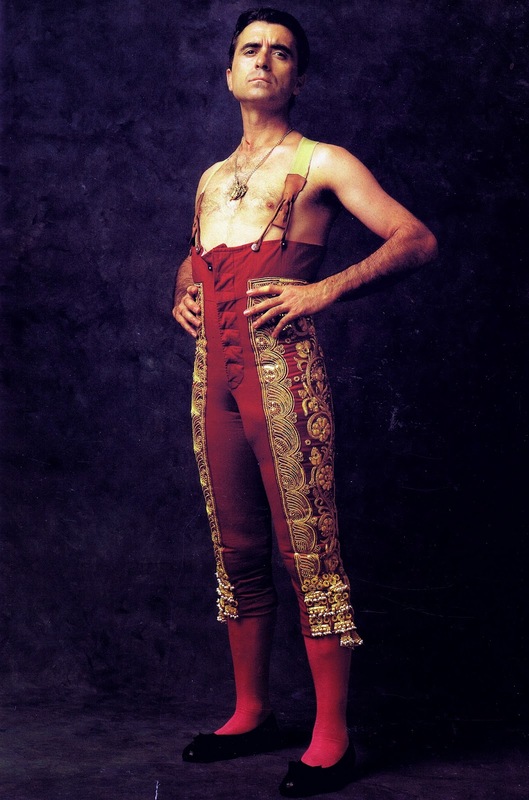 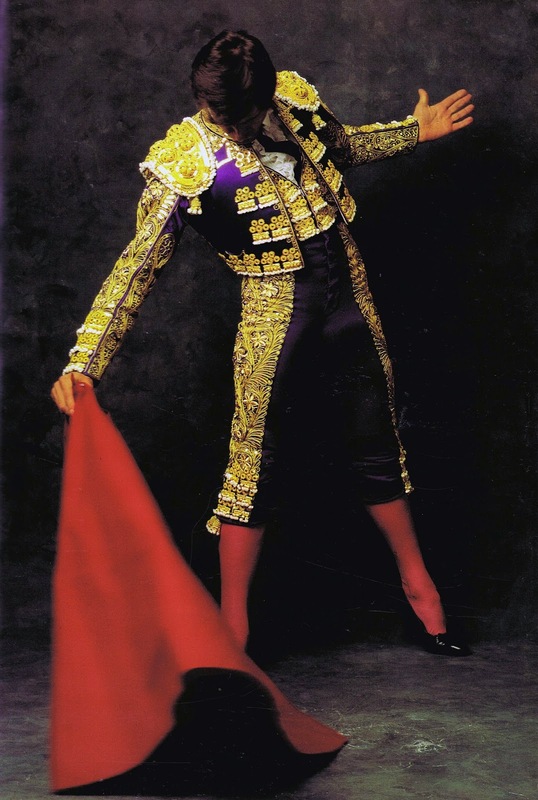 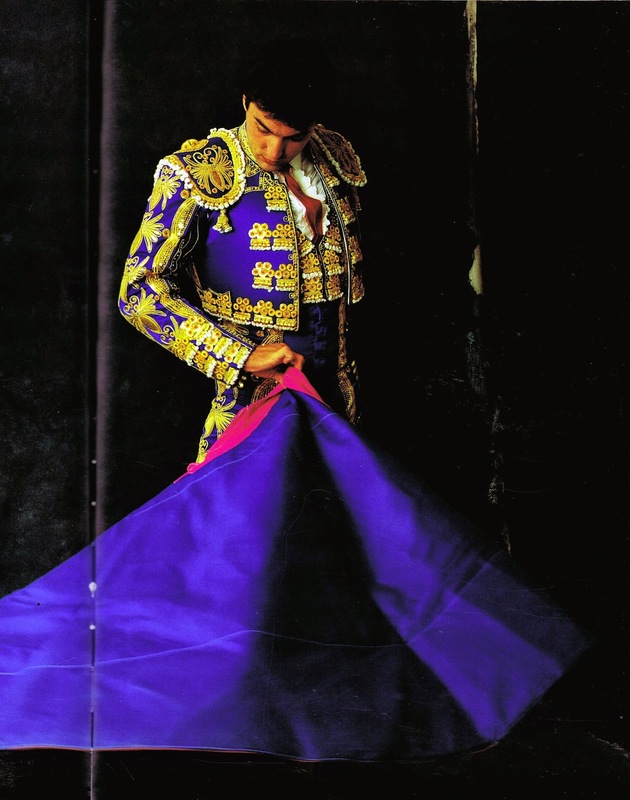 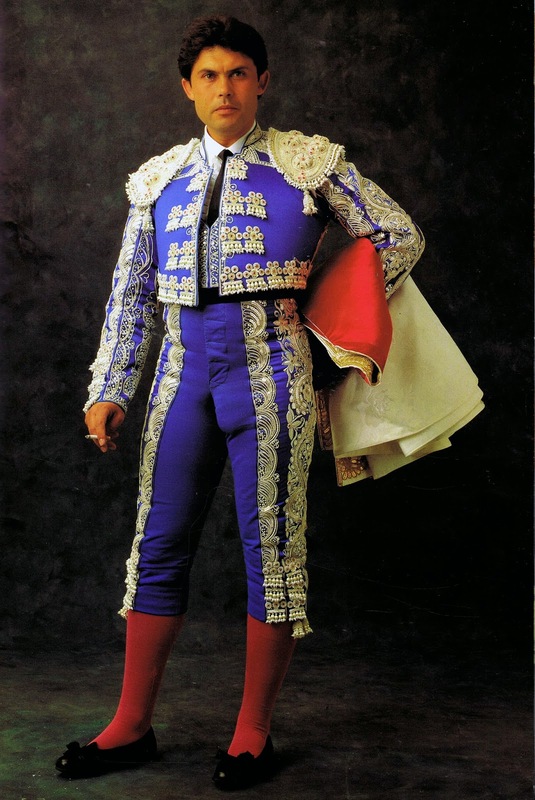 According to Spanish tradition, the bullfighter should never wear his costume outside the bullring. 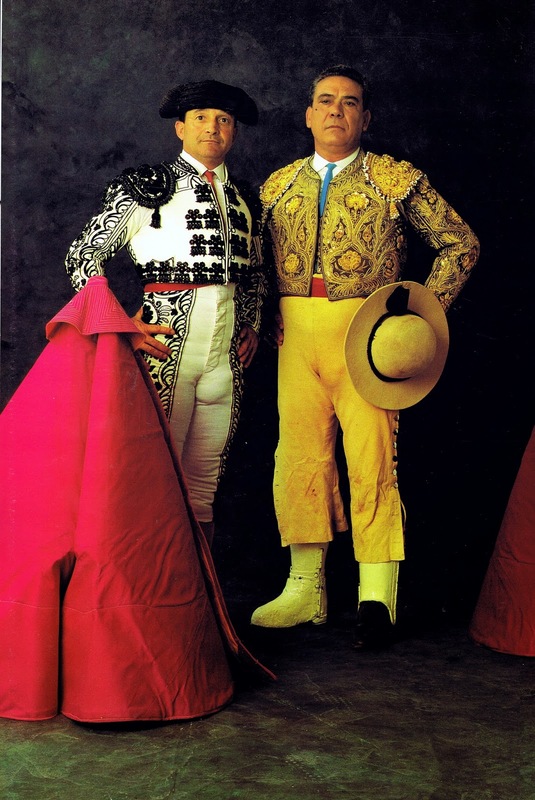 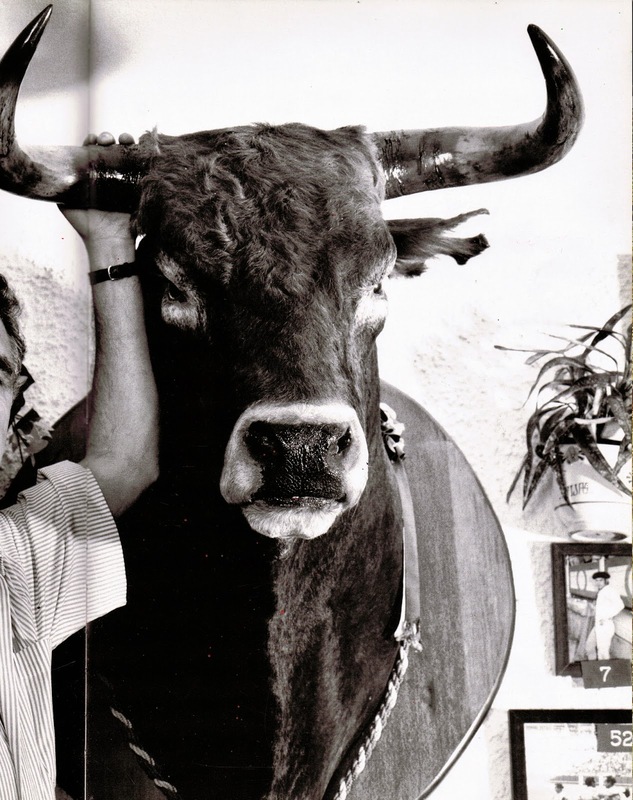 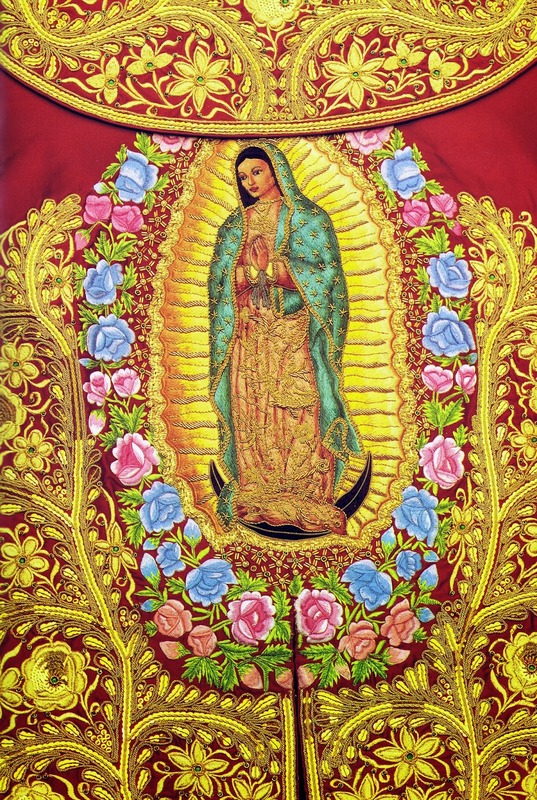 The stars of the corrida are brought to the readers in a series of studio portraits in this book. 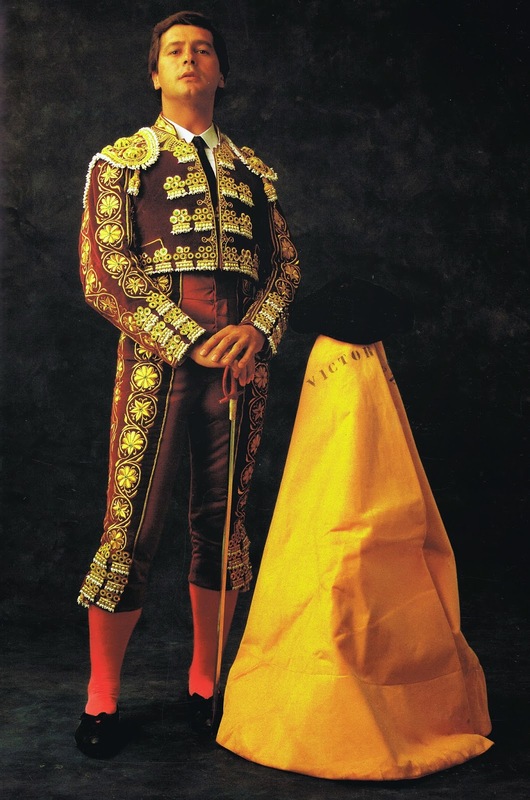 Matadors dressed in gold and banderilleros wearing silver re-enact the dramatic gestures and intricate choreography of their profession, displaying the artistic aspect of the bullfight. 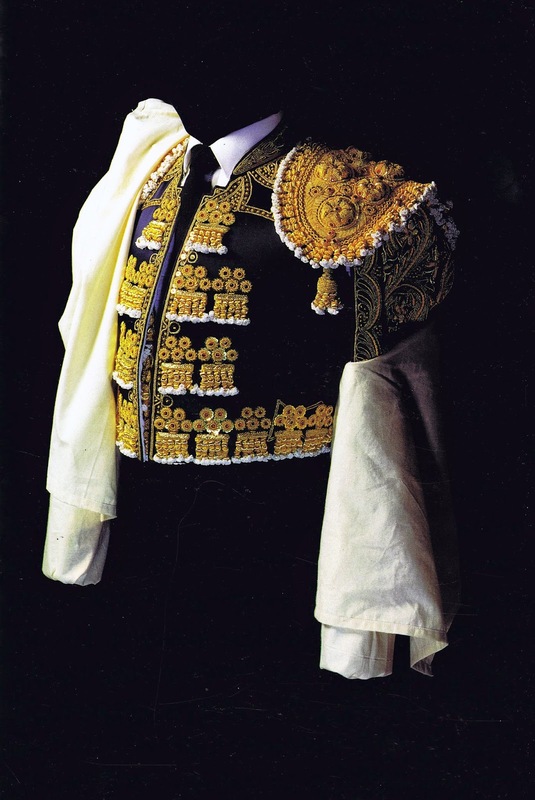 Each costume is the work of the great couturier, Don Fermin - head of Casa Fermin, Spain's leading atelier - who has specialized in the creation of "trajes de luce", (Suits of light) for the past 30 years. 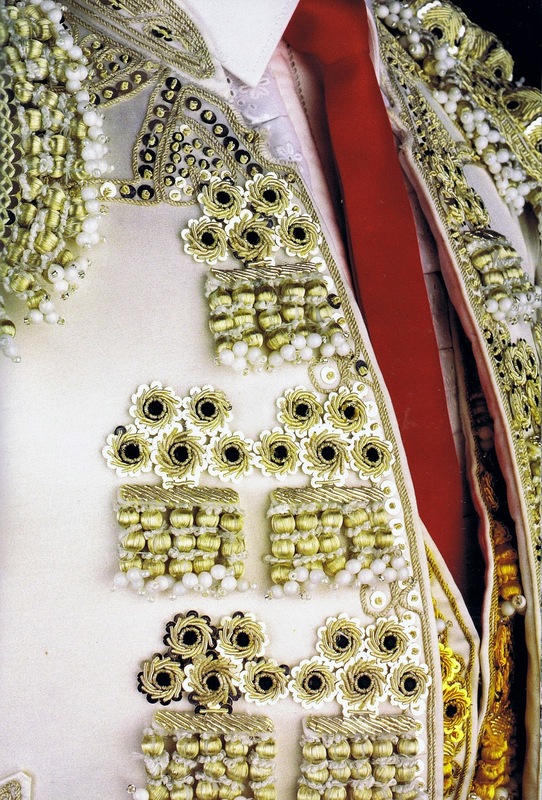 Each costume is hand sewn and requires over one month of work and numerous fittings. 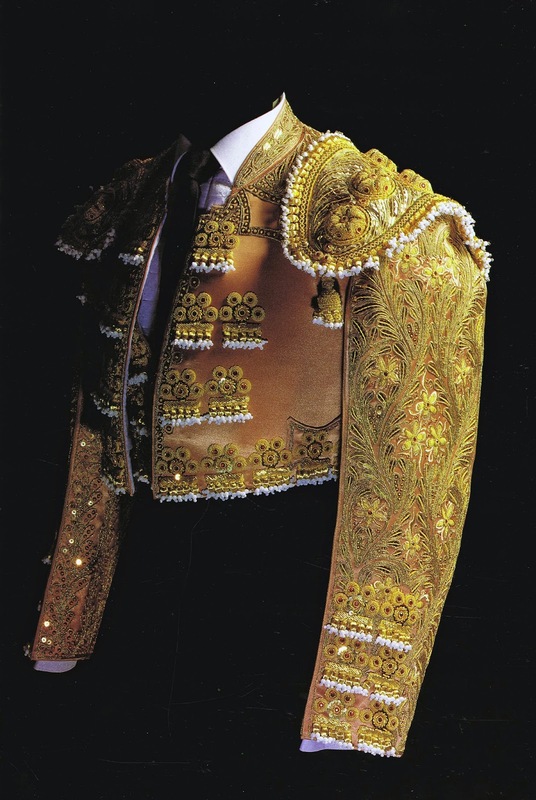 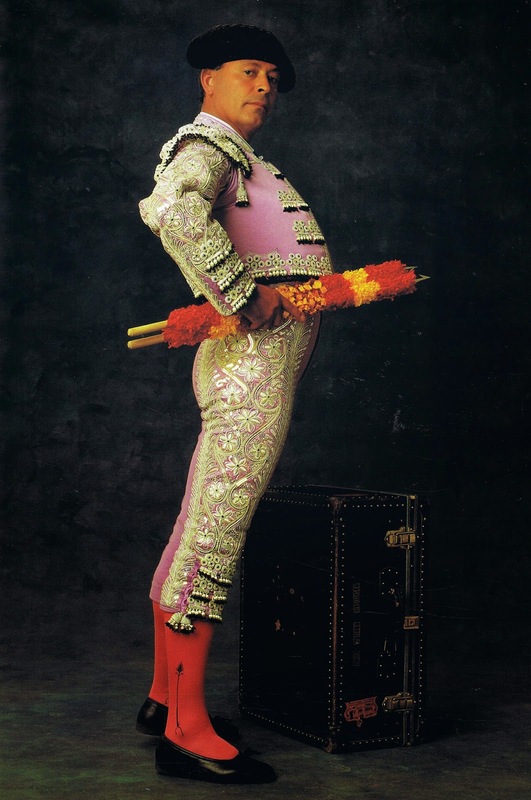 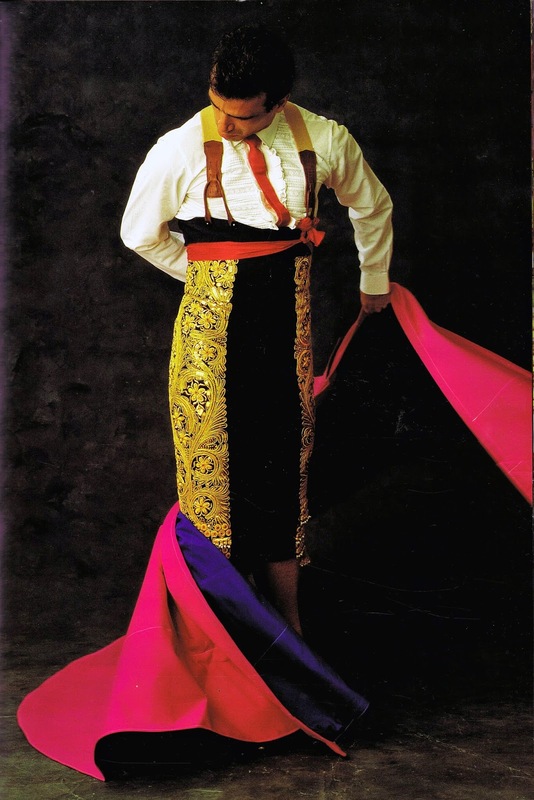 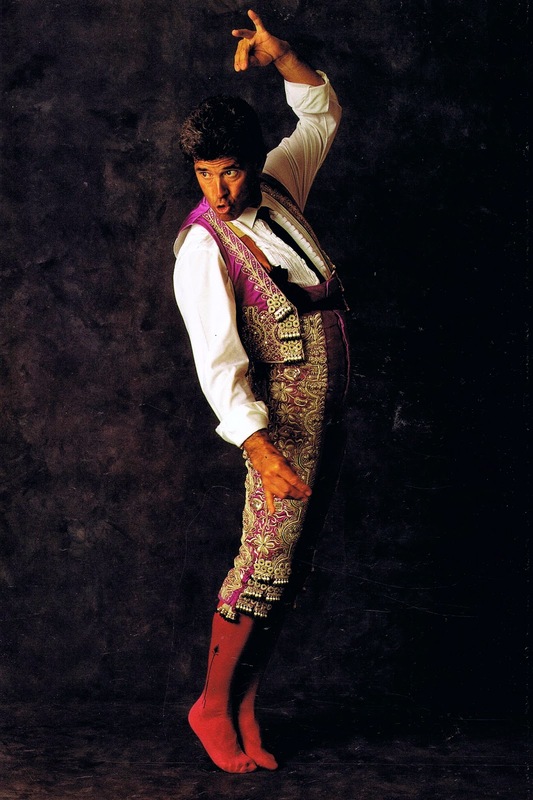 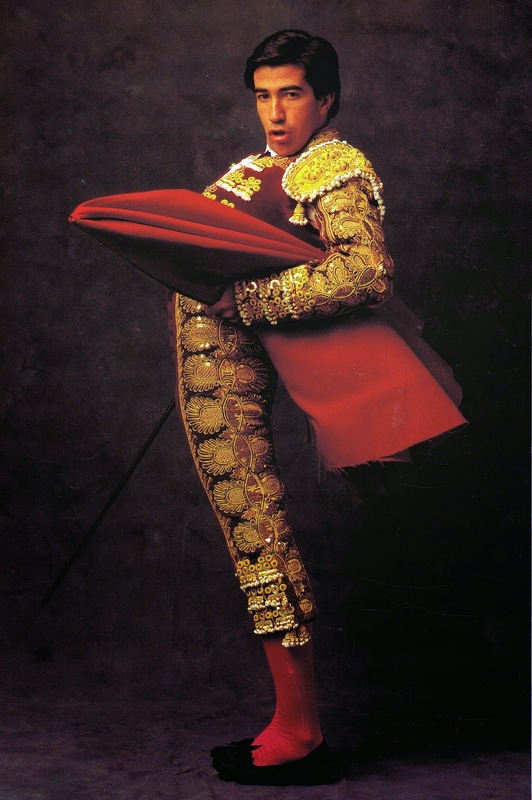 The leading bullfighters participate in 70 or 80 bullfights a year, and require six or seven suits per season, therefore the designers and tailors work continually to keep up with demand and make sure that each costume remains unique.